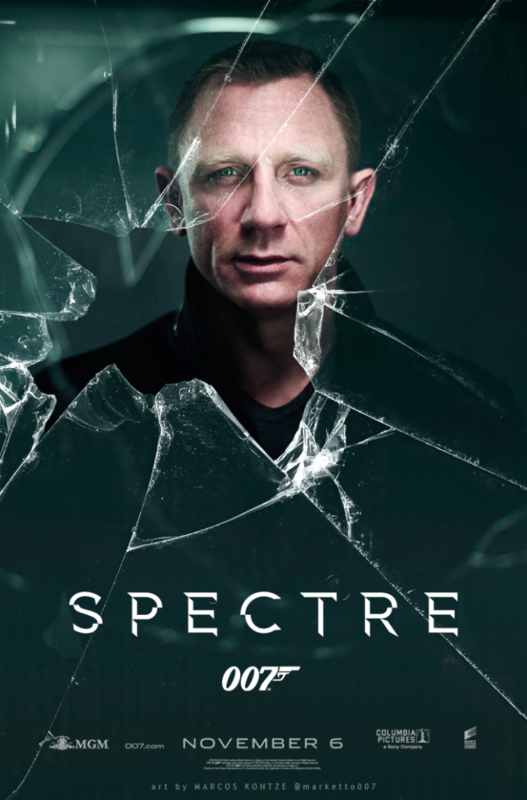 Trailer For James Bond’s ‘Spectre’ Is Fantastic!!! Who’s excited for the latest 007 flick?! I’ve got the trailer for ‘Spectre‘ the 24th James Bond sequel. Daniel Craig is back as the spy who always manages to save the day with Ralph Fiennes as M, Naomie Harris as Eve Moneypenny and Ben Whishaw as Q. As details go for the plot, we’ve not been given a lot of info, but what we do know is the A cryptic message from Bond’s past sends him on a trail to uncover a sinister organization. While M battles political forces to keep the secret service alive, Bond peels back the layers of deceit to reveal the terrible truth behind SPECTRE. SPECTRE stands for Special Executive for Counter-intelligence, Terrorism, Revenge and Extortion and the group is led by supervillain Ernst Stavro Blofeld. When the film releases on November 6 your options for viewing aren’t only limited to regular theaters, but ‘Spectre‘ will receive Imax release same day marking it as the second 007 to be shown on that format. Check Out the ‘Skyfall’ Trailer!!! 007 is Back!!! The New ‘Bond’ Film Is Titled….. Bond. James Bond Sets Film Date for December 6!!! This entry was posted on Friday, March 27th, 2015 at 8:21 pm	and is filed under Film, News. You can follow any responses to this entry through the RSS 2.0 feed. You can skip to the end and leave a response. Pinging is currently not allowed. « Screamer ‘Leatherface’ Casts Stephen Dorff!!! [while recruiting in Tortuga] And what's *your* story? My story? It's exactly the same as your story, just one chapter behind. I chased a man across the seven seas. The pursuit cost me my crew... my commission... and my life. [a pause, as it dawns on him] ... Commodore? [suddenly angry] No, not anymore, weren't you *listening*?